Greyhound is unmistakable, thanks to its elegant logo, depicting a dog of that very breed, caught midway through a jump, while running. But how do Greyhound package tracking services rank, compared to those of other carriers? After all, this is one brand that pops to mind when thinking about bus travel, not package delivery, right? The company, whose full name is Greyhound Lines Inc., has got a longstanding history in the United States, as an operator of inter-city bus lines. Aside from this, though, Greyhound also offers package delivery services, via the Greyhound Package Express service. This is a solution for clients who want to book door-to-door or station-to-station cargo shipments. The service was launched as part of Greyhound’s attempts to deal with several crises, including its recurring declines in popularity, worker strikes, and overall passenger transport industry decay. Same-day delivery via bus lines, say company representatives, is a more economic and environmentally friendly approach to shipping packages then ground or air carriers. At the moment, Greyhound is servicing more than 3,800 locations across North America, both in the U.S., as well as in Canada and Mexico. The company was launched over one century ago, in Hibbing, Minnesota, in 1914. In October 2007, it became a subsidiary of the Scotland based transport enterprise FirstGroup, but it has maintained the same headquarters that it had in the U.S. since 1987, in Dallas, Texas. It operates over 2,400 stations, 1200 Diesel-fueled coaches, and 123 routes across the entire continent. It’s also present in several other countries, including Australia, where it operates a freight delivery service, among others. Greyhound Package Tracking via personal online account. First off, you need to log into your Greyhound account, then navigate to the Track a Package page. Submit the package info, click Submit, then click Show Details[+] and, presto: you’ve got all the details neatly laid out in the same place. Greyhound Package Tracking via Waybill Number/Reference Number. For those who are not that well acquainted with Greyhound’s services, use of the coach lines will have the operator issue you a waybill. This slip, as its name suggests, includes all the information about your order: the service you used, package weight and other relevant info for the parcel in question. The Waybill Number is printed in the upper left-hand side corner of the ticket, right above its bar code. 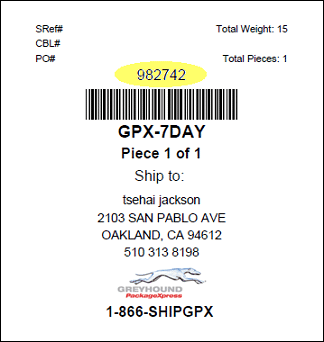 Greyhound Package Tracking via GPX On-Line Order Number. 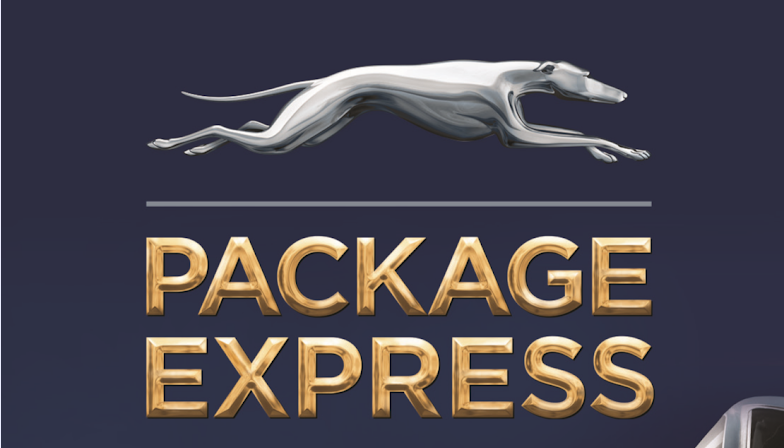 Greyhound Package Express also allows its customers to book shipments online. Upon confirming the booking, you’ll receive a printable label. The reference number is located at the top of the respective bill. Greyhound Package Tracking via email. If, for some reason, you also want to track your package via email, you need to check out this page. Make sure to provide all the necessary info, particularly the accurate Waybill Number or GPX On-Line Number. You will receive updates regarding the status and location of your package, as it makes its way to destination. As always, the answer to the question ‘how long will it take for my package to reach its destination?’ via Greyhound Package Express depends on your delivery method of choice. Bear in mind that the Greyhound coach delivery service is offered to companies and even to large corporations, as well as to private individuals. Over the past few years, this affordable service has proven particularly popular with military personnel, college students, and veterans. Here is the delivery service range, as provided by the company’s official website. For more information, you can visit this page. Standard: Choose this option if you want to save money and are not pressed for time. Standard delivery means your package will be shipped with the very next coach which has available space. Your parcel can be delivered door-to-door and even counter-to-counter. Allow for some extra time, if you’re shipping an oversized item. The receiver can pick up the package only within normal business hours. Priority: If you want your package delivered quickly, choose Priority Shipping—but only for destinations which are less than 800 miles away from you. You can select a schedule within which you want the package delivered, and some locations will allow after-hours pick-up of the package. Greyhound guarantees a full refund, should the delivery not get there on time. Direct Delivery: Though its fleet mostly consists of coaches, Greyhound Package Express also operates specialized vehicles for direct delivery. Available only within 400 miles of your location, and only on a door-to-door basis, you can get a fairly accurate estimate of estimated arrival time when you place the package for shipping. Screenshot of the Track a Package page. Though Greyhound Package Express does go to great lengths to ensure that all packages are delivered in a timely manner, it also allows customers to directly contact them, for further tracking information. If you’ve sent out a package and are wondering where it’s at in the shipping process, you can call the company’s National Customer Service Line at 1-800-739-5020. Additionally, you can also contact the ShipGreyhound Facebook page, as it’s fairly responsive to customer inquiries. In fact, the company offers a discount for Facebook followers. Another interesting way to save money by shipping items with Greyhound is their BUSFREIGHTER savings program, which can slash up to 50 per cent of your bill, when shipping at least 6 items at a time. What Can You Do If the Greyhound Package Doesn’t Arrive on Time? First of all, you need to make sure that enough time has elapsed, depending on the delivery method you’ve selected. Bear in mind that standard delivery means your package may not have fit onto any coaches—especially during holiday season or peak coach traveling times of the year. A similar principle applies to Direct Delivery: don’t worry if it’s been several hours since you dropped off your package, since the estimated time of arrival for your package is based on the vehicle’s total driving time. If you’re absolutely sure your package has not arrived on time, you can email the company’s customer service department at greyhound.support@greyhound.com, or call them at 1-800-739-5020. The service is available Mondays through Fridays, from 7am to 7pm, Central Time. is no longer any good & I will have to reship , but not by greyhound . That would just be throwing good money after bad . Hey Buddy!, I found this information for you: "Greyhound Package Tracking Tips & Tricks". Here is the website link: https://all2door.com/greyhound-package-tracking/. Thank you.